After several months of writing, crafting, deliberating and a bit of creative angst, here it is. I am so happy in this work. My intention is that this website not only reflects my joy of doing this work but is reflective of who I am and how I do this work. I’ve worked to be open and transparent – to “show you” how I put together ceremony and how I come to this work with all of the parts of who I am, what I feel and what I’ve learned over the years having worked with diverse couples. As I move into 2012, I look forward to knowing and working with excited guys and gals who truly want an exceptional ceremony moment – no matter if a ceremony guest list is 2 or 200 or the atmosphere is crazy casual or more traditional/formal. 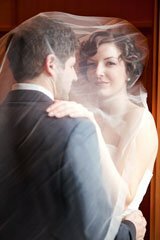 I recognize finding and selecting an Officiant for a ceremony is an unfamiliar process. I am hopeful that the words and guidance on these pages gives direction for a best choice of Officiant – whether this is me or someone else. If I can be helpful to you in any way, please call or email. I am so loving these “end of the year weeks” which are more quiet for me. Once the calendar turns to 2012, I’ll return refreshed and ready to go for a new year. Bring on the love! p.s. Congratulations to Zak & Nicole Malbin ’11 – such a memorable ceremony at The Willows Lodge and a baby on the way! Comments Off on Whew! A new website!